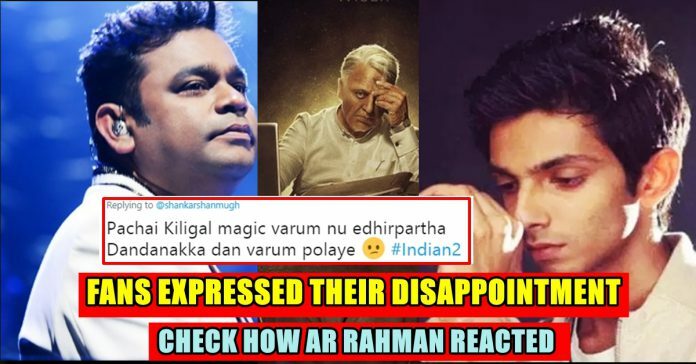 After Shankar Chose Anirudh For Indian 2, Here’s What Rahman Has To Say To Shankar !! 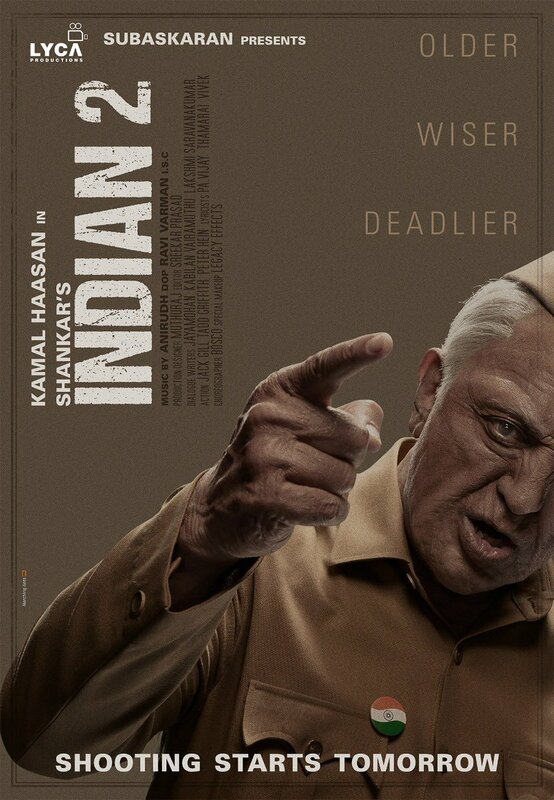 And the first posters of Indian 2, starring Kamal Haasan, are out. 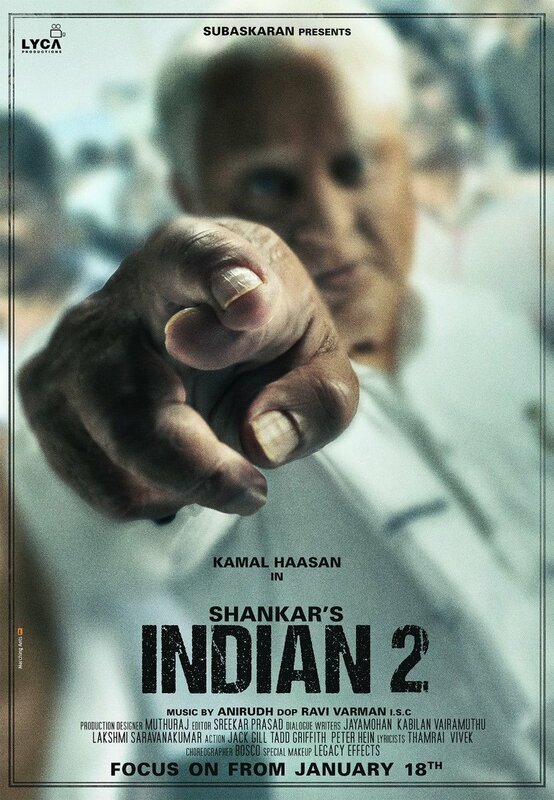 Director S Shankar announced that he’ll start filming the sequel to his 1996 hit film today and he also revealed that in Indian 2, Kamal Haasan’s Senapathy will be “older, wiser and deadlier.” Kamal Haasan played the role of Senapathy, a former freedom fighter, who rechristened himself as Indian, a vigilante who vowed to eliminate all corrupt officers from government offices. At the end of Indian, Senapathy escaped a deadly blast and told the officer in charge of arresting him that he’ll return when his services will be required. After two decades, it appears that Senapathy has decided to return. Composer Anirudh Ravichander is riding high on the success of his recently-released album Petta starring Rajinikanth. It looks like the composer’s career is soaring high as he has been scoring tunes for the bigwigs in the Tamil and Telugu film industries. For several months, rumours about Anirudh composing for Indian 2 have been doing the rounds. Recently, the music director confirmed that he is indeed a part of Indian 2’s technical crew, in an interview to a radio channel. The posters also implied the composer’s part in the movie. The first part of the film had A.R Rahman as composer. Songs and background music of the film were well received by the audience as well as critics. On knowing about Aniruth’s arrival in the sequel of ot many fans felt disappointed and expressed their emotions in social media. Is no one else as bummed as I am about ARR not being part of #Indian2? For me, ever since the official announcement, it has been like experiencing the sadness and frustration that I felt during Anniyan all over again. Even though it is Anirudh who is replacing him, AR is AR, no? Why not A R Rahman? Do we get the same hit songs like #Indian in #Indian2? Meanwhile , A.R Rahman, the maestro himself broke his silence for the first time since the confirmation of Indian 2. The Oscar holding musician wished his buddy a very all the best for this project. Some of the fans thought there are some misunderstanding between the duo but this proved that their relationship is healthy as always. But fans still felt something is missing the sequel of the 1996 blockbuster. Ivara @arrahman yarunu nenaichinga…Indian 1st part ku uyir kuduthavare ivar dhan.. Without his BGM, nothing will work.. Previous articleMan Jumped From 11th Floor Of Ship To Become Famous In Instagram !! Watch !! Next articleThis Magician Who Worked In “Mersal” Hiring Lawyer In Chennai To Get Paid !! SHOCKING ! !